Ireland has the greenest of green hills, rugged coastlines, diverse landscapes, and the most charming towns. 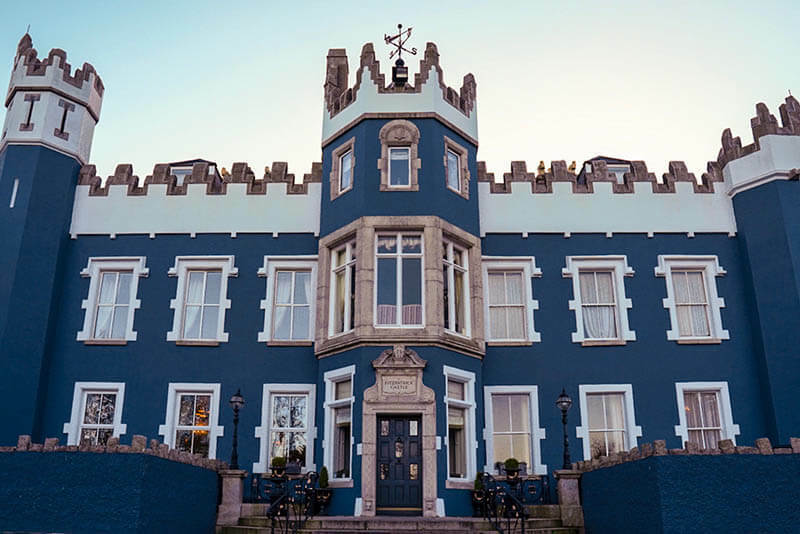 We recently returned from our first Ireland road trip with Air Canada Vacations and Tourism Ireland and experienced its dynamic character and welcoming atmosphere. The natural beauty of the land inspired us to explore every aspect of the country on our Road Trip around Ireland. On the Taste of Ireland package with Air Canada Vacations, you can experience the area with a 9-day fly & drive Ireland itinerary. This package is great for those who love to travel at their own pace and craft an itinerary that’s specific to their own preferences. Follow the suggested itinerary or make your own plans, but rest assured you’ll have a place to lay your head each night, as hotels are pre-booked. 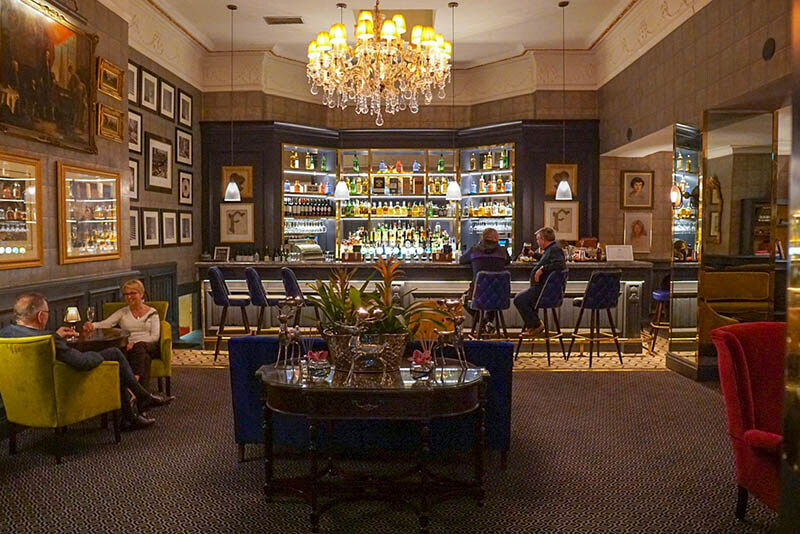 All you have to do is check-in each day, and enjoy your complimentary breakfast the next morning before embarking on your next Irish adventure. Each hotel we stayed at had its own personality and style, from modern to classic medieval castle. 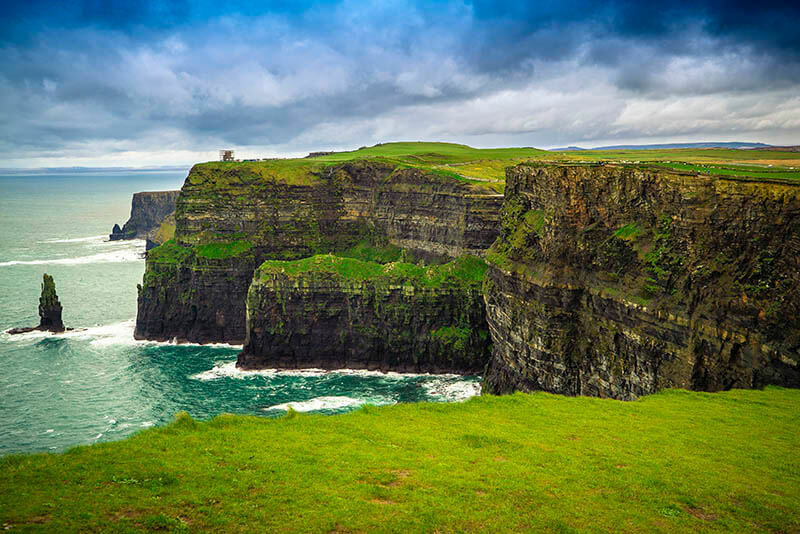 The Taste of Ireland package includes round trip flights to Dublin, an 8-day car rental, 7 Irish breakfasts and 7 nights of accommodations across Ireland. We were pleased with the suggestions for lunch and dinners, both at the hotels and nearby restaurants. Each restaurant had a solid base of Irish dining classics and we were never disappointed. You can use your Heritage Island Touring Guide and Explorer Coupons included in the Air Canada Vacations Taste of Ireland package when choosing activities. 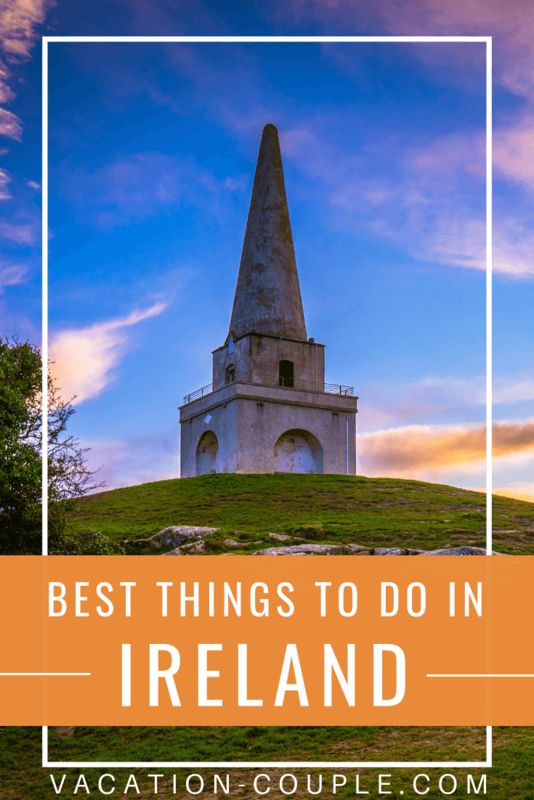 It gives details on over 80 of Ireland’s top premier attractions and heritage towns and also provides free admission to select sites and discounts. To top it all of, you’ll earn more Aeroplan® Miles. With stops in Dublin, Co. Galway, Co. Clare, Co. Kerry, and Limerick; you’ll be visiting a lot of major cities and destinations. 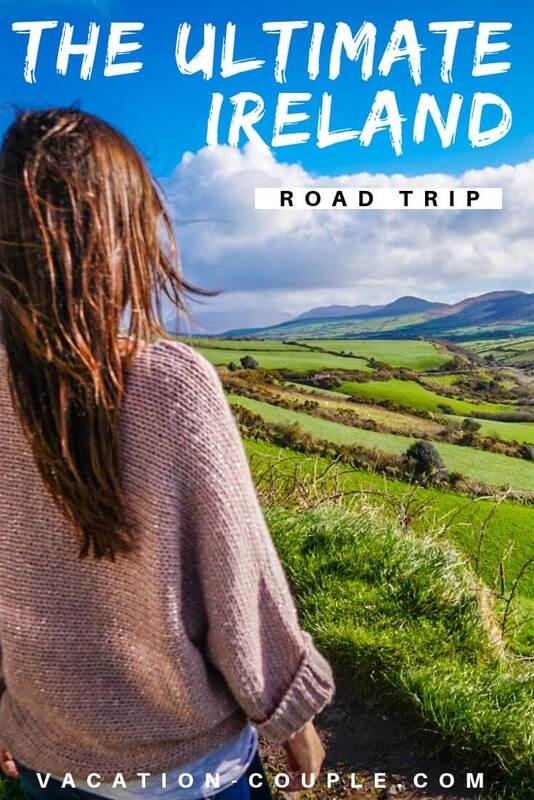 So get comfy and prepare for a Taste of Ireland with our Ultimate Ireland Road Trip Itinerary – what to do, what to eat, where to stay, and what to pack! Spending time in the capital of the Republic of Ireland is a great way to be introduced to Irish charm. With endless classic pubs, ancient history, local food, and sights, you’ll understand why spending two days here is a must! 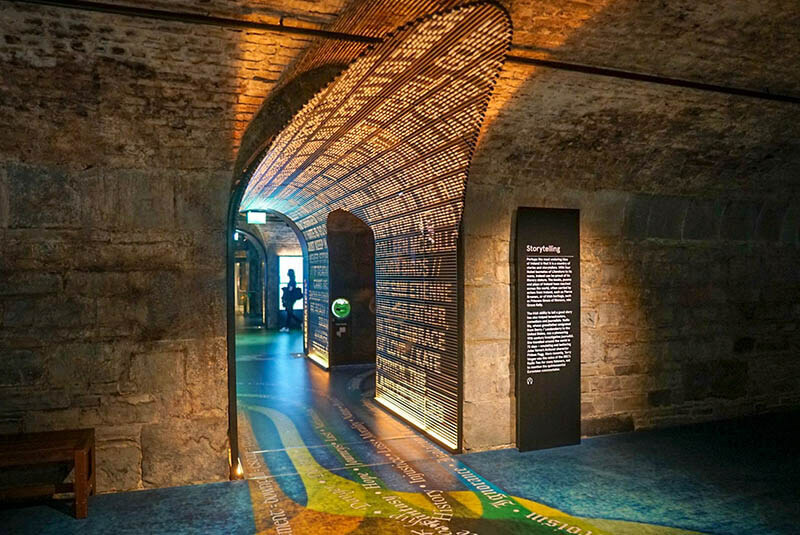 To learn more about Irish Emigration and your own Irish heritage, visit the world’s first fully digital museum, EPIC Ireland. 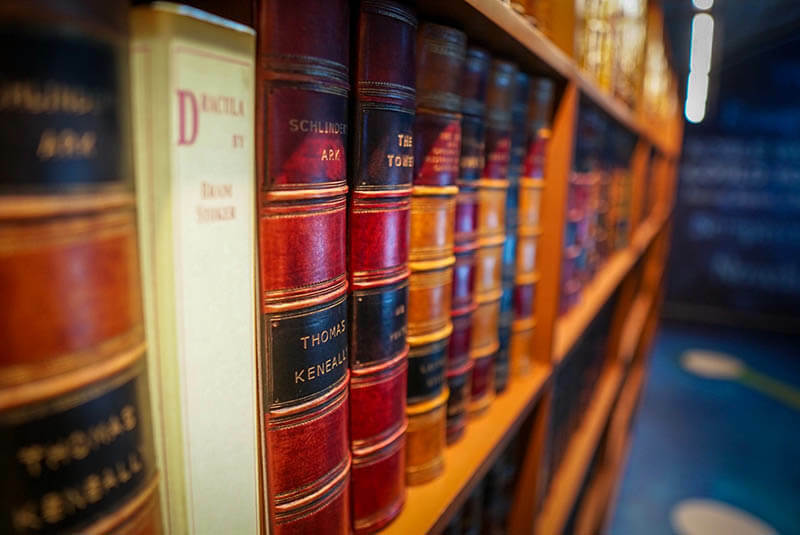 This Irish Emigration museum has 20 interactive, themed galleries that taught us about each aspect of Ireland’s history in a refreshingly engaging way. You receive a Passport that can be stamped in each room to keep track of your journey through history. In addition to this souvenir, at the end of the tour you’re able to meet with a genealogist and explore your own Irish roots. This attraction comes at an additional cost, but it’s totally worth the visit! 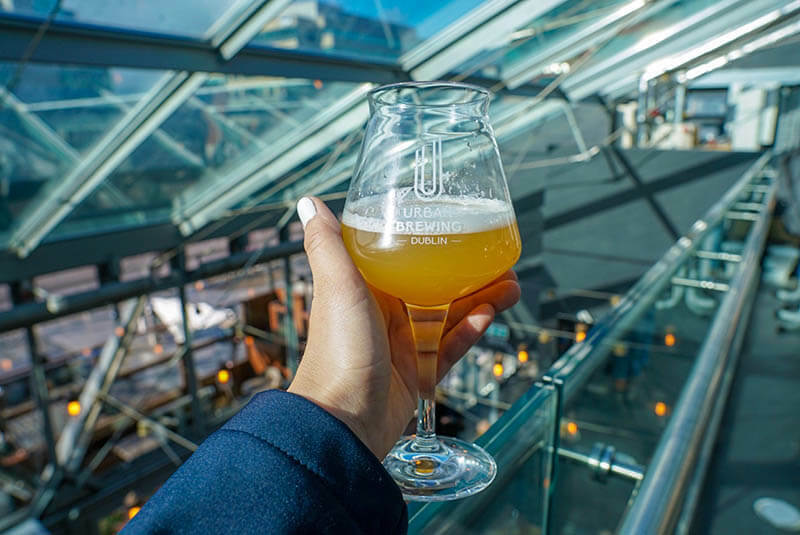 We recommend grabbing a quick beer and lunch at the nearby Urban Brewery before leaving the area. They have a micro-brewery with every evolving Irish craft beers and a gorgeous underground restaurant. The classy atmosphere and design compliments this exclusive upscale pub. Ireland is known for its world famous beer and gin, but do you know about the whiskey? 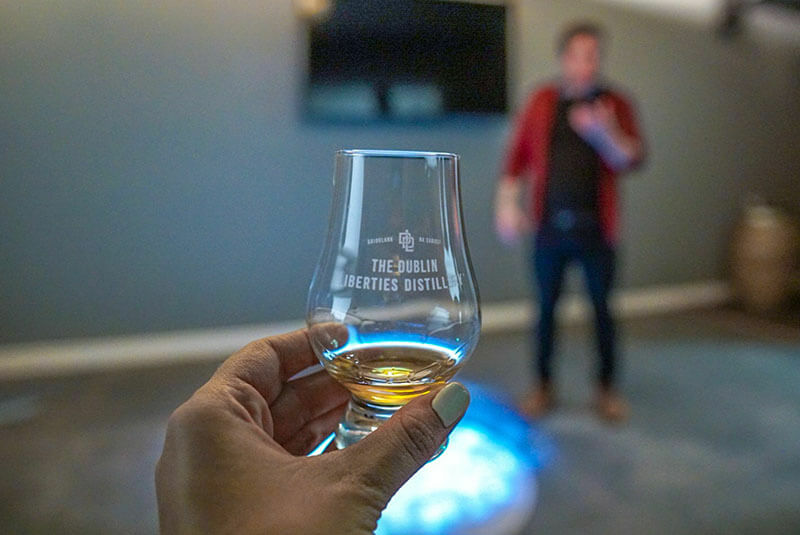 Located in the golden triangle of distilling in Dublin in a historic 400-year old building is The Dublin Liberties Distillery. 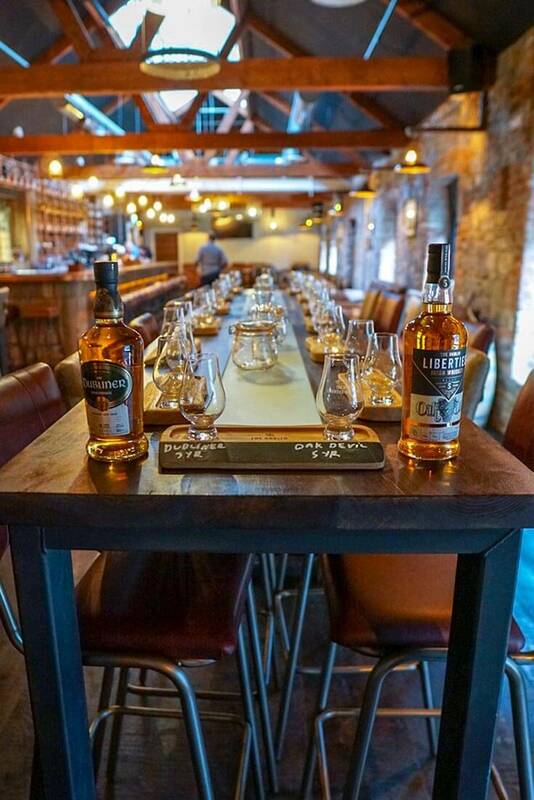 It’s a great place to get up close and personal with blended and malt whiskeys. 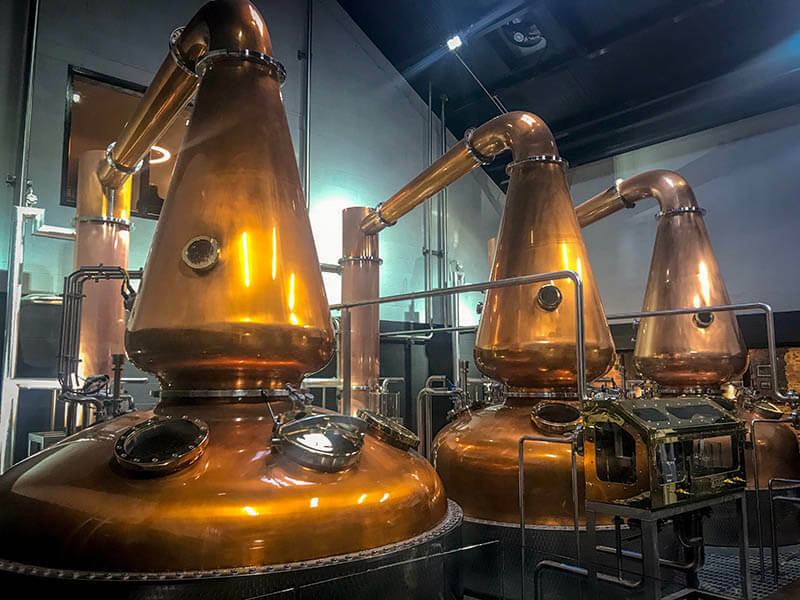 Take a tour to see the copper pot stills, and learn the 3-step distillation process while you’re there. Don’t leave without getting a taste of some fine Irish whiskey. Taking a tour at the Dublin Liberties Distillery comes at an extra cost. Remember to check your Heritage Island Touring Guide for deals and discounts here. Talk about feeling like a princess! 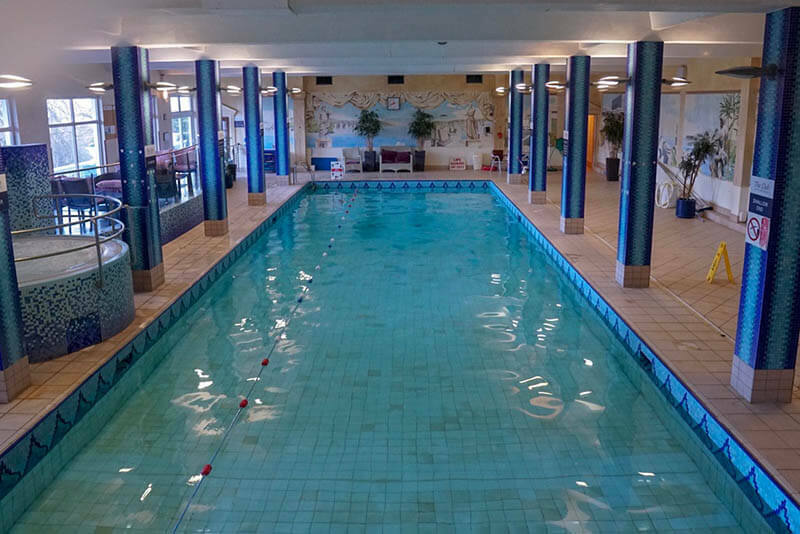 A stay at the Fitzpatrick Castle Hotel is sure to give you the royal castle life you’ve been wanting. 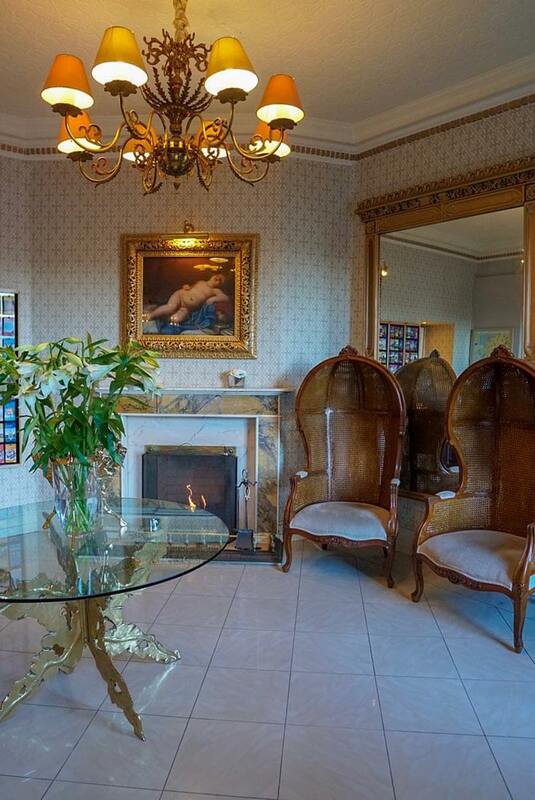 Its classic Irish interior makes you feel comfortable and is a true testament to Irish luxury. 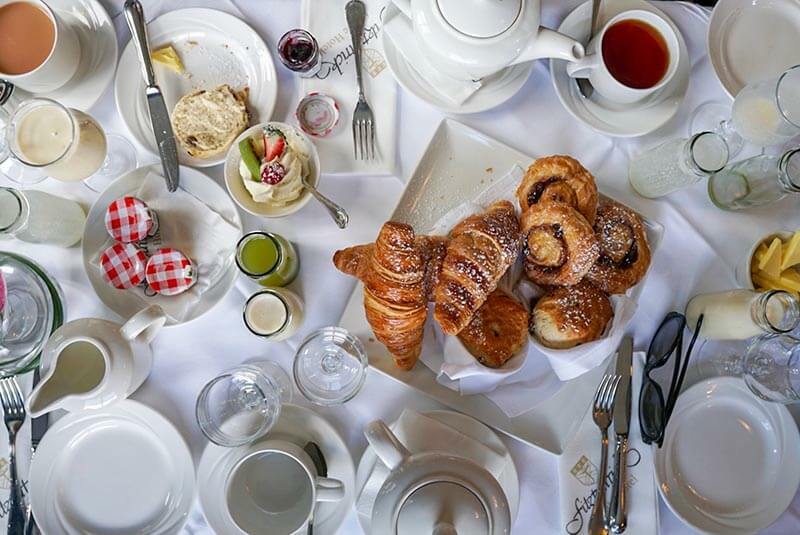 Their afternoon tea here is something to write home about and we can’t say enough good things about it. The green and banana smoothies paired perfectly with our tea, coffee, scones, and croissants. 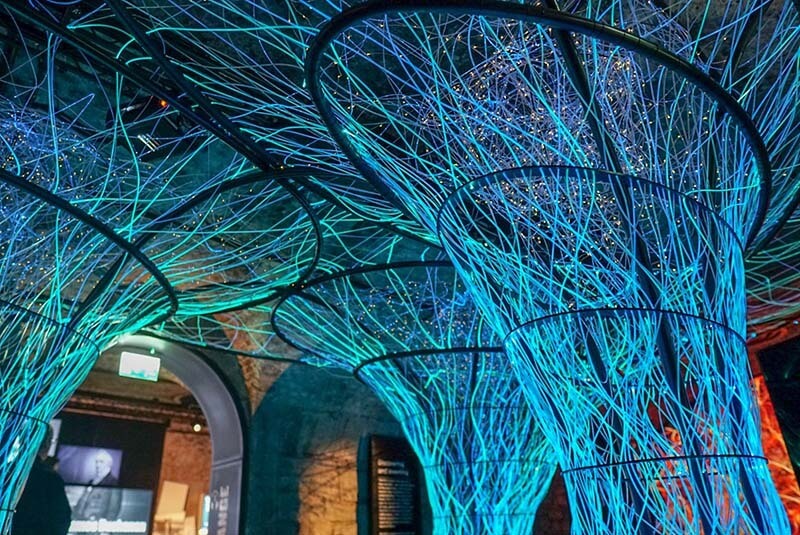 Additional Suggestions for Dublin include a visit to Pheonix Park, Christ Church Cathedral, Dublin City Hall or the classic Guinness Storehouse. Stop by the Dublin Castle and St Patrick’s Cathedral and make sure to take lots of pictures of these historic buildings! Next up is Western Ireland in the County of Galway. Here you’ll find picturesque farms and cottages, spotted granite mountains, and lots of sheep! Many iconic Irish sights and history can be discovered in County Galway. If you’re going to visit one place in the area, it should be Kylemore Abey. You’ll experience true Irish history and the dramatic landscapes of Connemara. Take a guided tour to get the most of your visit as some tasty tidbits are shared along the way. Visit the Abbey rooms and make sure to include the Gothic church and Victorian garden in your plans. The kids will love making a wish at the Giants Ironing Stone. Both the dining and shopping here have all you need. We overheard people saying that they frequent the area just to enjoy the lunch here. We left with souvenirs of lemongrass soap, milk chocolate bars, magnets, and three jars of homemade lemon curd. 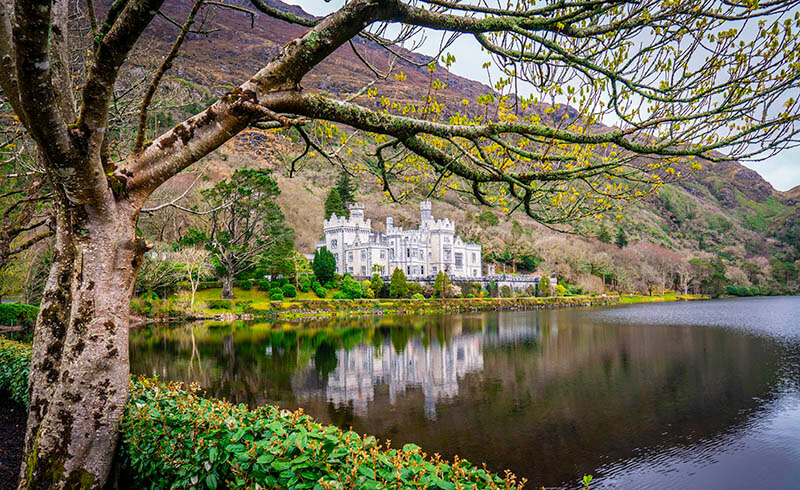 Visiting Kylemore Abbey and the Gardens comes at an additional cost. We ended our night with dinner and drinks at a local pub, McSwiggans. The atmosphere was warm and the patrons lively as we shared drinks and stories from our day. 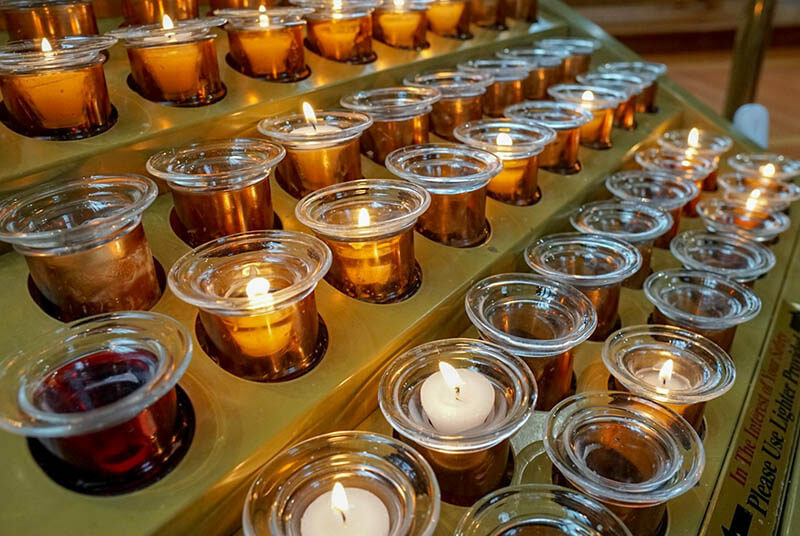 Additional suggestions for County Galway include St. Patrick’s Cathedral or the Old Jameson Distillery for whiskey tasting. Be prepared to experience the beautiful County Clare from countryside to coastline. 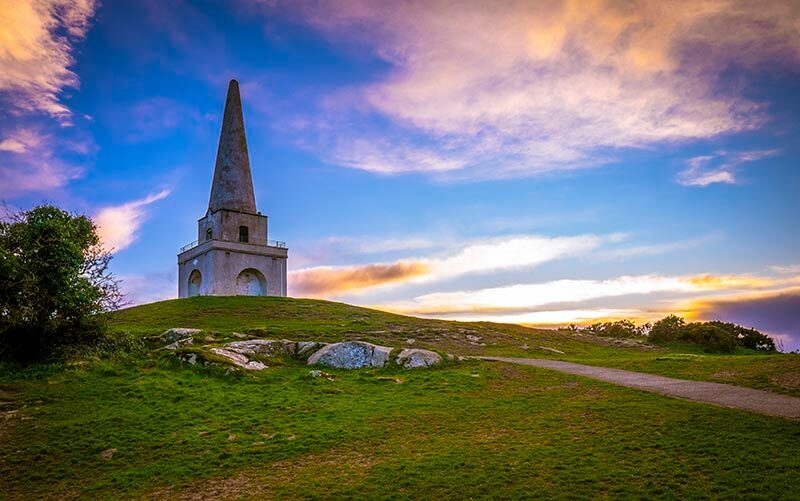 It holds some of the most iconic destinations in Ireland, including some of our favorites. This beautiful landscape of cracked limestone and spotted granite lines the coastline. You’re driving down the road with green surrounding you one moment, and you’re in a barren, rocky field the next. 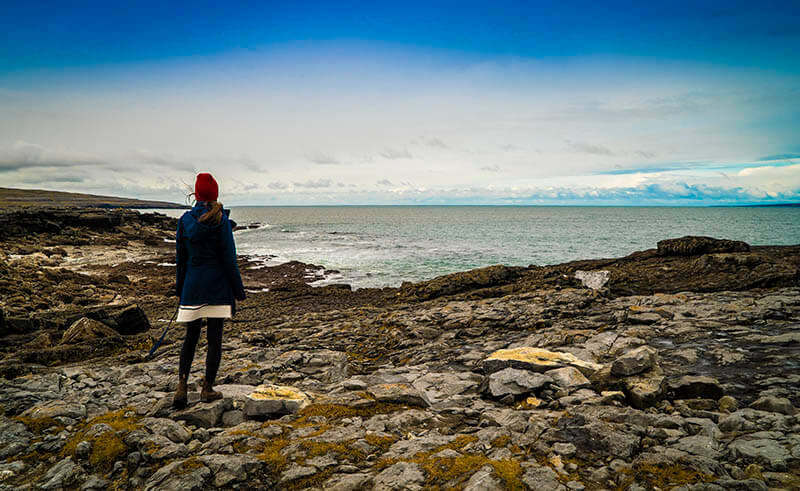 Burren is a great example of the gorgeous varying landscapes of Ireland. 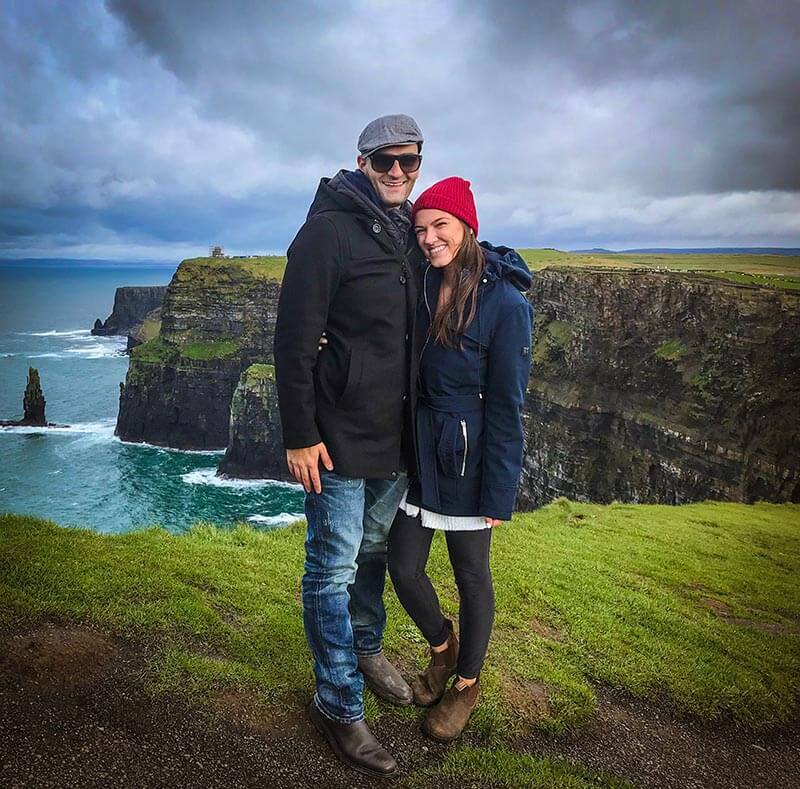 No visit to Ireland is complete without a visit to the Cliffs of Moher. You can experience these phenomenal coastline wonders with a local guide to get the most of your visit. We enjoyed the Doolin Cliff walk with Pat Sweeney, a local farmer who decided to teach tourists about the history of the area while providing an affordable and fun tour. It’s a very easy walk and a must on your Ireland visit. With the adrenaline still pumping through us from our cliff walk, we decided to fill up with some local drinks and food at Gus O’Connors Bar. Established in 1832, the atmosphere screamed classic Ireland to us and it was lovely to see the walls lined with nostalgia. Aside from the delicious fish and chips, another advantage is its proximity to the Doolin ferries. You can get to the Aran Islands from here which are another must-see destination in Ireland and one to add to your bucket list! If you want to see a real Irish castle, stop at the infamous Bunratty Cast & Folk Park. The site that the castle stands on was originally a Viking trading camp in 970. Since then, four different castles have been built on the site, Bunratty castle being the last. We enjoyed a guided tour of the castle and learned of its complicated history. The saying “the walls have ears” originated here and only the guided tour will tell you why. Continue to explore the folk history of Ireland on the grounds with its living village of reconstructed homes and true Irish environment. It also holds a playground, a magical fairy garden, and shopping. Visiting Bunratty Castle & Folk Park comes at an additional cost. Using your Heritage Island Guide, you can pre-plan your must-do activities to get the best deals. Additional suggestions in County Claire include using your Explorer Coupons at the Galway City Museum, Aillwee Cave, Dunguaire Castle or the Cliffs of Moher Visitor Experience. Country Kerry is in the South-West region of Ireland. It’s an ideal home base to explore as the area is bordered by both County Limerick and County Cork. Take Slea Head Drive, a circular route, to get some fantastic Irish countryside and coastal views. 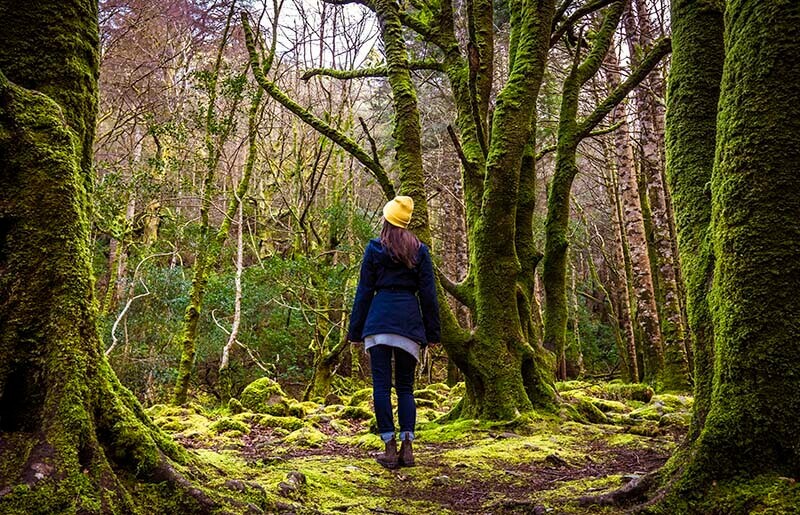 It forms part of the Wild Atlantic Way and you’ll experience bright green countrysides like you’ve never seen before! Keep your eyes open for a sheep and cattle sighting. There are multiple areas to pull off the road and safely enjoy the view. 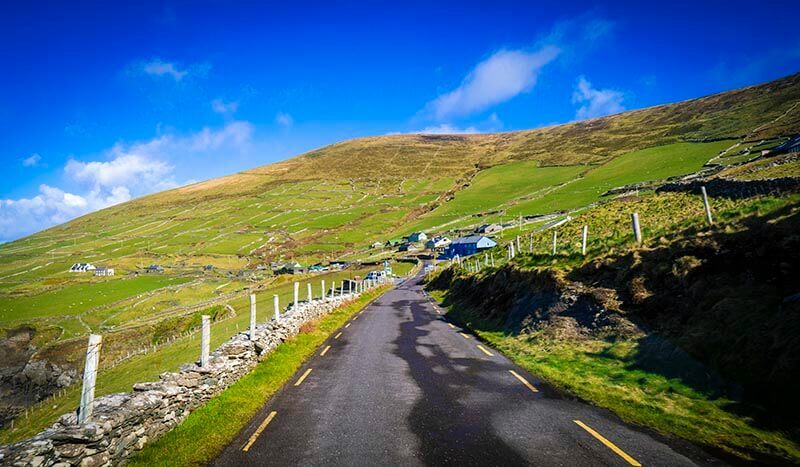 Once you’ve driven the route, settle into the town of Dingle and enjoy. This charming town is a great place to explore and get to know the locals. Its colorful shops, local restaurants, and lively pubs speak to its upbeat character. 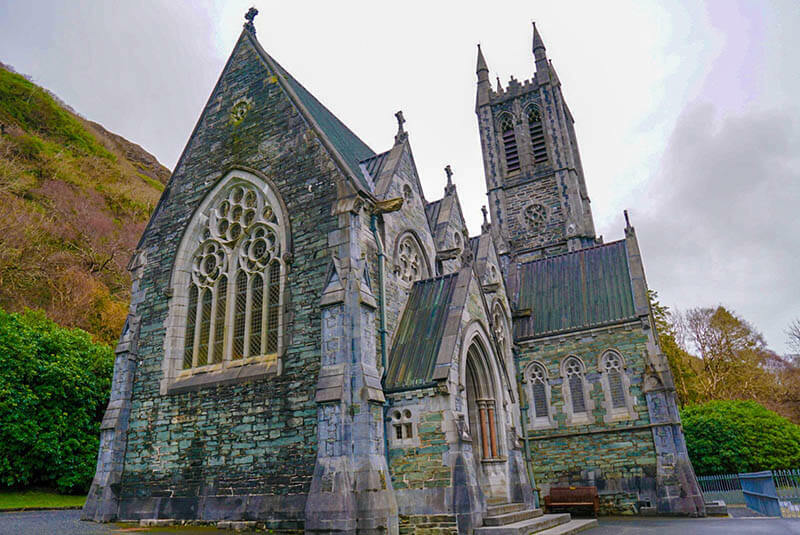 Some of our best memories of Ireland happened in this beautiful little town. Their resident town mascot, a dolphin named Fungi, who is said to be very friendly and has been hanging around the marina for decades. 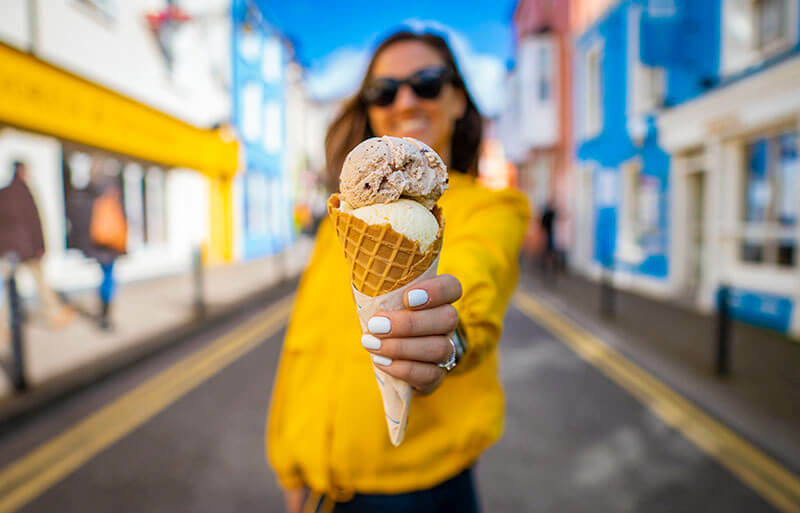 Dingle is the perfect place to try local seafood, taste homemade ice cream, and purchase local crafts and art. No day is complete without a true Irish dinner. You can enjoy a Michelin Star meal at this trendy Irish hotspot. Once you’ve had your fill of Dingle, hop in the car and continue your adventure along the coastal route of your dreams. 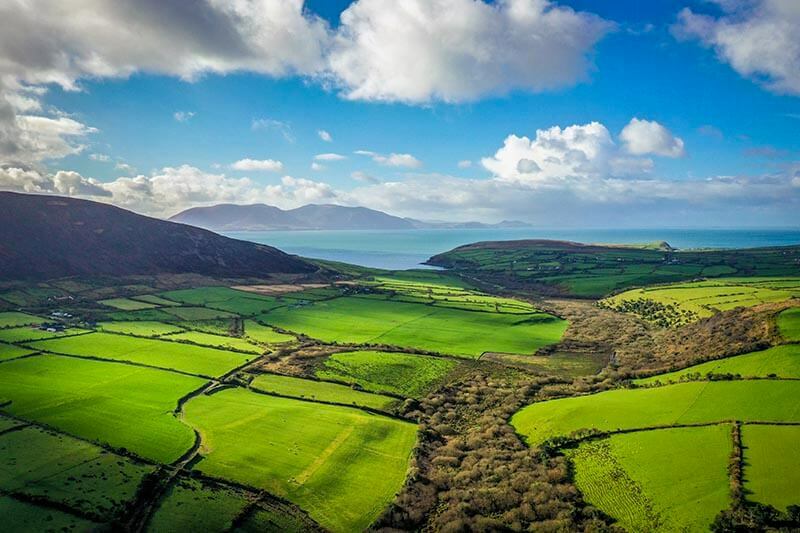 The Ring of Kerry is179 kilometers long and leads you through multiple peninsulas in the south west of Ireland. Prepare yourself for the rugged island views, white-sand beaches, and epic mountain passes. From town to town and along the coast, get some serious wanderlust as you take your time exploring this iconic Irish road. A stop at D’Osheas Bar, an iconic pink landmark in Sneem, is a must on your Ireland itinerary. We recommend enjoying some classic grub before wandering through the town to take in the waterfall views over the bridge. Don’t forget to snack on some classic Irish treats in town. It’s all about the scenery as you depart Sneem and continue on through Killarney National Park. Get ready to be speechless as the vast open areas welcome you into this iconic landmark. 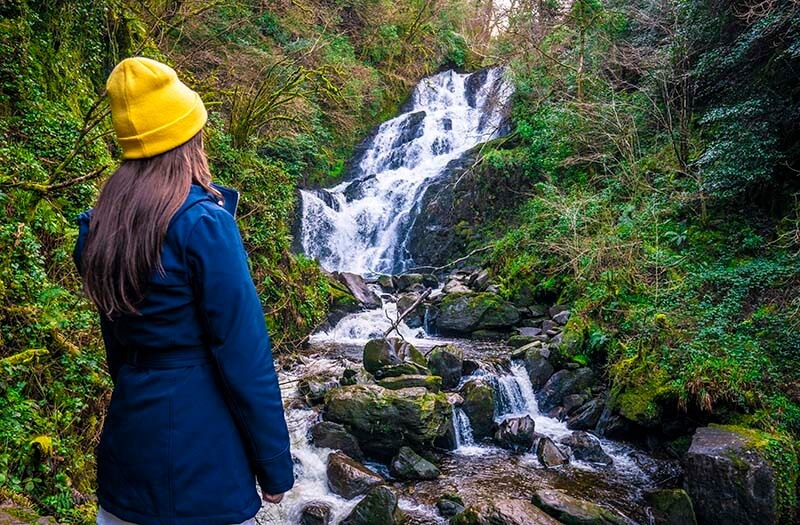 You shouldn’t leave the area without stopping at a few viewpoints, including the Ladies View and the Torc Waterfall. Each stop along the way is easily accessible and boasts stunning views, so you really can’t go wrong with which ones you choose. You can use some of your Explorer Coupons at Muckross House or at the Gardens & Traditional Farms along the way. Nearing the end your Irish adventure, we recommend a stop in one of the oldest towns in Ireland, Limerick. It’s a town of creation, as Irish coffee was invented here in 1943. And Irish rock band, The Cranberries, was formed here in 1989. These two facts alone were reason enough to pique our interest in the town! We recommend a stop at one of their famous pubs and a ride on the Ferris wheel (when in season). Sometimes you just don’t want to drive, and that’s okay! Air Canada Vacations has Ireland packages to suit your needs, so if a rental car isn’t for you, there are more options. Travel by train from city to city with Ireland East to West, which includes a 6-night adventure from Dublin to Galway and four activities included in your package. Want to travel by train, cover more ground, and include a visit to the Aran Islands? Check out the Splendours of Ireland package. Travel by train on a 7-night adventure to Dublin, Kerry, Killarney, Galway, and the Aran Islands. This package includes 3 activities. If you’re looking for a longer Ireland adventure, make sure to look into the Irish Panorama package. 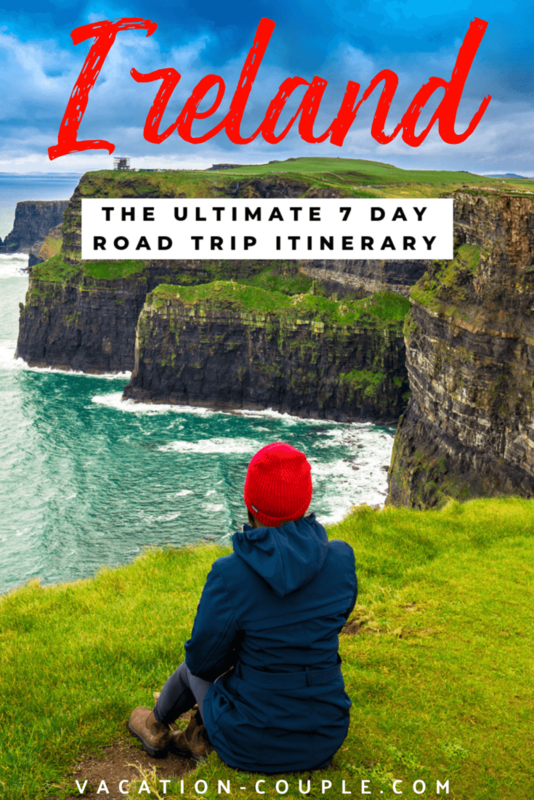 It includes 16 days of travel with stops in Cork, Kerry, Killarney, Galway, the Aran Islands, Clare, Belfast, Causeway, and Dublin. This package includes 9 activities. Which truly makes it the Ultimate Ireland vacation package! Anytime is the best time to visit Ireland. We visited during one of the coldest months (March) and enjoyed each and every second of it. We’re Canadian and used to a bit cold, but found it to be much warmer in Ireland than Canada at this time. It was a warm +5 to 8 most days with the occasional winds and light rain which added to the mood and impact of Ireland’s natural beauty. Because Ireland has varying weather, there are a few key items we suggest you get before embarking on our Irish journey. The most important items we needed were international plugs, waterproof shoes, a warm hat, gloves, and our camera. 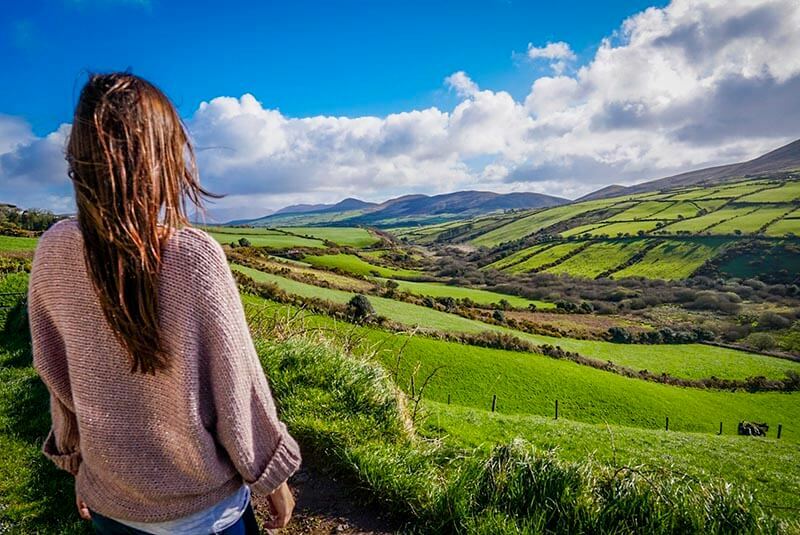 Ireland has delicious local food, colorful towns, inspiring scenery, and friendly locals. We couldn’t have imagined a better experience, this tour truly gave us that taste of Ireland we were longing for! Being able to have the independence to visit wherever you want on your own time is a luxury in itself. As we’ve said, you can experience Ireland in just a week or stay and explore the countryside and city for days on end. Whatever your travel style, Air Canada Vacations has an Ireland vacation package to suit your travel needs. Don’t wait any longer. Let #YourDreamsTravel with Air Canada Vacations and start dreaming about your next Ireland Road Trip! 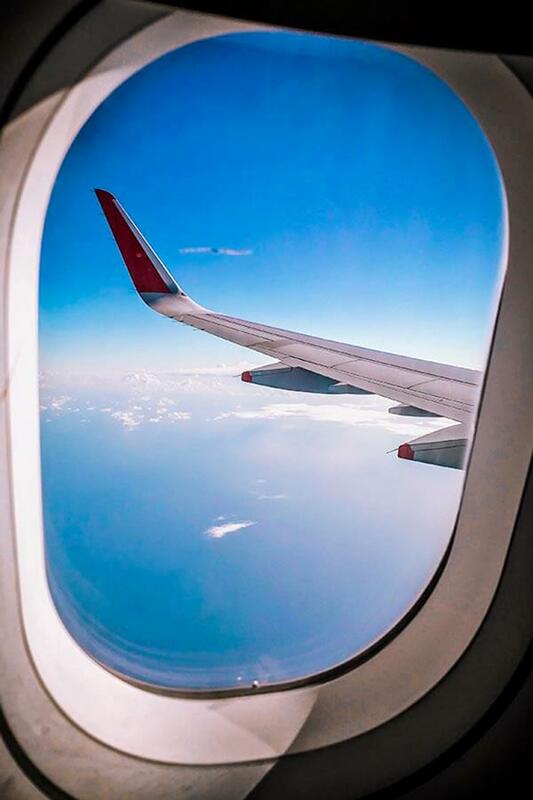 Where do you dream of traveling to next? Check out our posts about the best things to do in the Dominican Republic and The Bahamas for travel inspiration. Disclosure: This post is sponsored by Air Canada Vacations. As always, all opinions are our own.